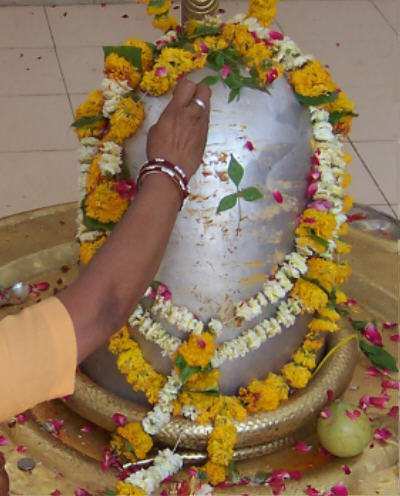 Siddha Ashram and Acharya Mahamandaleshwara Swami Nardanand Paramahansa Maharaj have completed construction of a 1500 kilogram Parad (Mercury) Shivalinga, which is the largest of Sanatana Dharma (Hinduism). 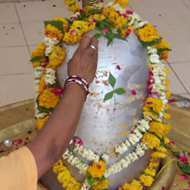 The Shivalinga and its temple are located at Siddha Ashram, Ujjain, India. 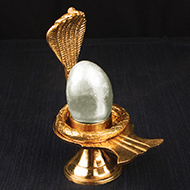 The opportunity to have darshan, the touch and worship of this Parad Shivalinga is accredited to one's holy and good deeds done in the previous and present life. "Sphatik is better than paashan, padmaraaj than sphatik, Kashmir jewel, pushparaaj, i.e., lahasunia than Kashmir jewel, panna than lahasunia, neelam than panna, godanti or gomed, mauktik than vidrum, silver than diamond, gold than silver, diamond than gold and parad (mercury) is yet better than diamond." 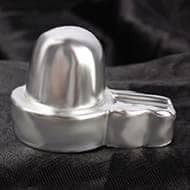 Thus parad is the best of all the metals and jewels and a lingam of Lord Shiva made of the best of all the metals should without doubt defy any parallel. All the metals and sub-metals found in the world are sending out their waves. Parad (mercury) is a metal too and sends out its waves likewise. As parad is the most unstable among all metals, similarly man's mind is the most wavering too. Both are closely related. If parad is stabilized by destroying its unsteadiness, its waves will solidify. This process causes effect on the mind. 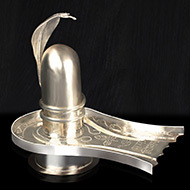 If one meditates beside a parad Shivalinga, the mind naturally gets concentrated. Therefore, a compact form of parad is of great significance because it is extremely helpful in concentrating the mind.